Upstate New York is generally not known as a fashion capital. Perhaps that's why local businesses and designers have come together to put on a fashion show with a twist. 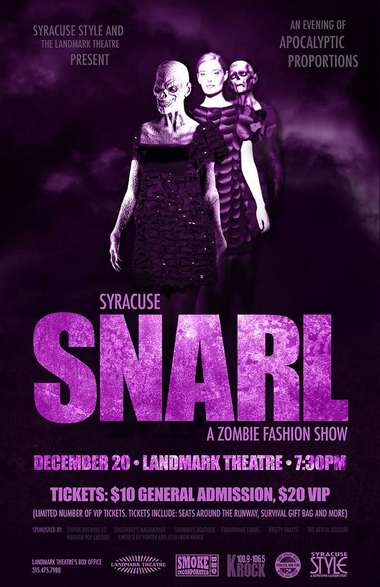 Syracuse Snarl, Zombie Fashion Show is staging their event at the city's Landmark Theater. It is a fundraiser for the theater and a tongue-in-cheek party to celebrate the last night before the Mayan calendar's "end of the world." The fashion show will be hosted by local radio DJs and feature models both zombie and living to show fashion from local designer Lisa Butler and local boutiques like Dougherty's Masquerade, Showoff's Boutique, Frightmare Farms, Kreepy Krafts, The Artful Obscure, and Modern Pop Culture. Tickets are $10 for regular admission and $20 for VIP seats, available at the door or in advance by calling the Landmark Theatre box office at 315-475-7979 ext. 107. 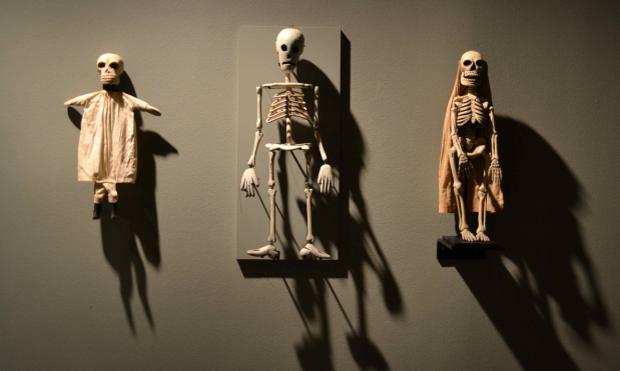 A new exhibit in London explores the human fascination with death throughout time and various cultures. 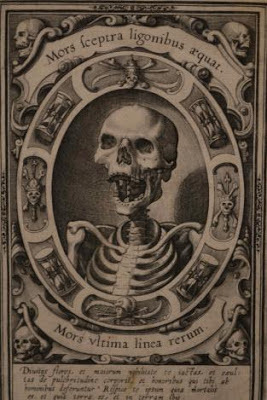 Death: A Self-portrait at the Wellcome collection showcases morbid still lifes from the 1600's, to Day of the Dead sculptures in the 1970s. 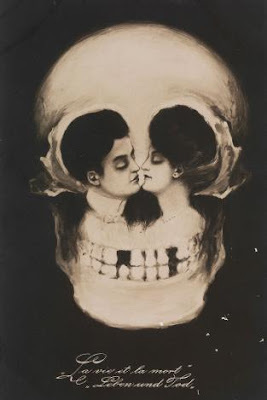 Metamorphic postcards from 1900's, ancestral offerings to contemporary art and sculpture are also displayed. As macabre as this exhibit may appear at first, I found it very interesting to see how people of different histories interpret death. It's not so much about being morbid, but acknowledging how short life really is, or celebrating the person who once was, so they are never forgotten. Everyone's relationship with death is so very personal, which makes each item special.